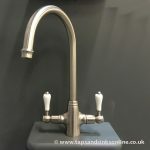 Carron Phoenix Barra Kitchen Taps are one of four Bridge Mixer Taps styles currently available in our Store, this mixer tap is designed to complement a classic kitchen look in combination with a Belfast ceramic sink. 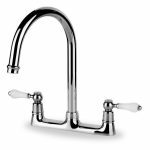 The Barra Tap features classic lever handle design and an elegant swan neck spout. 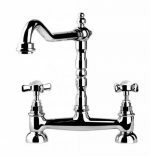 The Carron Phoenix Atholl offers the same bridge style with capstan (cruciform) handles. 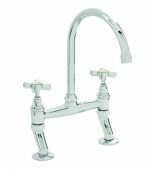 The San Marco Tuscany has a more decorative spout and is available in different colour finishes (Chrome, Brushed Nickel and Antique Bronze). 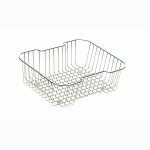 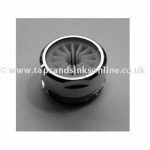 Length of the threaded bar which goes into your worktop: 120mm. 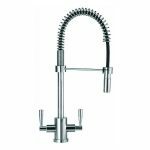 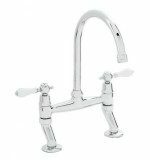 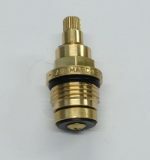 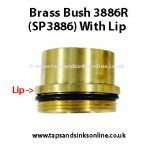 Carron Phoenix Barra Kitchen Taps are suitable for standard water pressure systems (0.5 bar and above).